The Forest Road info about the game-Games2Rule. 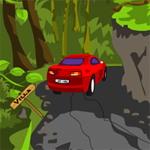 The forest road is another new point and click escape game from games2rule.com You are traveling alone in a forest road; unfortunately your car fuel tank was broken by hitting on a sharp stone in the road. Now you want escape from the dangerous forest. There is no one to help you .Find the right way to escape from there by using your mind. Good luck and Have Fun!